Welcome to the Newton County, Missouri, website. This website is here to provide important information and links for you. As always, we strive to provide the best service to the residents and taxpayers of Newton County. It is our goal to share the resources you need through this site. If you are unable to find what you are looking for, please feel free to contact us directly. 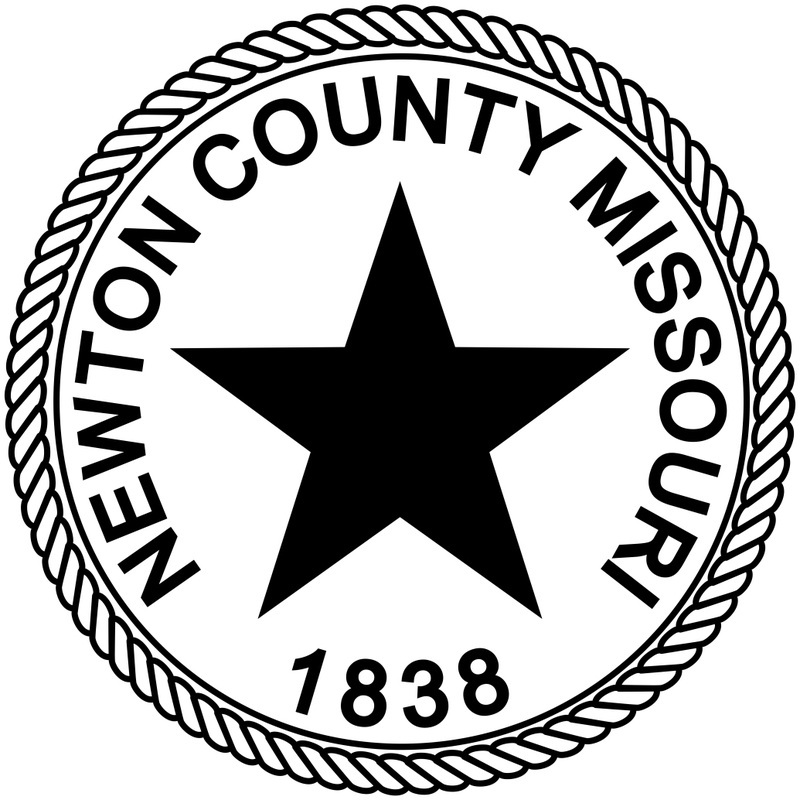 Newton County is in the State of Missouri. It is included in the Joplin, Missouri, metropolitan statistical area. The population was 58,114 at the 2010 census comprised of 20,140 households and 14,742 families. It is the eighteenth most populous county in Missouri. The county was organized in 1838 and named for John Newton, a hero of the Revolutionary War. The county seat is Neosho. Newton County has a multitude of communities including: Diamond, Fairview, Granby, Joplin, Neosho, and Seneca; Villages: Cliff Village, Dennis Acres, Grand Falls Plaza, Leawood, Loma Linda, Newtonia, Redings Mill, Ritchey, Saginaw, Shoal Creek Drive, Shoal Creek Estates, Silver Creek, Stark City, Stella, and Wentworth. The following localities are also in Newton County: Hornet, Monark Springs, Racine, Spring City, Tipton Ford, and Wanda. In 2011 the Newton County Commission authorized the first official county flag. The Newton County Courthouse 75th Anniversary Planning Committee wanted a flag which would stand out in crowd. Kay Hively, a member of the planning committee, offered to assist with the design. Slightly off center on the flag is the largest star which depicts the County Seat located in Neosho. Gold letters surrounding the star state “Newton County Missouri 1838”. Using population figures and historical data provided by County statistics the stars are Placed geographically to represent towns and villages. The cluster of stars in the northwest corner of the flag represents that part of Joplin and her suburbs which lie within the boundaries of Newton County. The flag serves a reminder that Newton County is, always had been, and always will forever be, the home of Gold Star Communities.